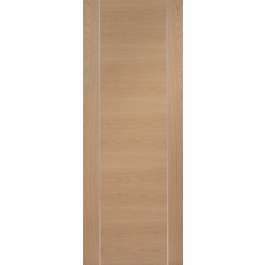 35/40mm engineered flush non-fire rated internal door - cross directional Oak veneer with 8mm vertical silver aluminium strips. Supplied factory finished in clear satin lacquer. Available in standard imperial and metric sizes with 10 years manufacturing guarantee. FSC certified. 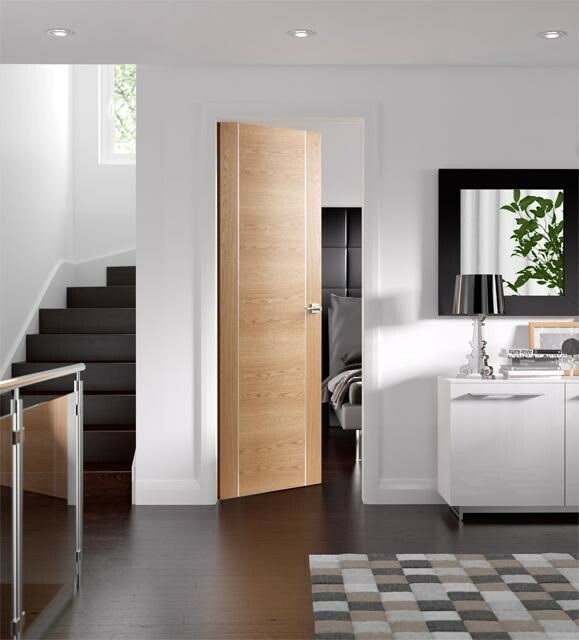 Stylish modern internal oak door featuring two vertical silver strips separating cross directionally laid veneer. This fully finished door is also available a matching glazed version and fire rated version.